An addition was made to the Burr building in 1992, designed by Tim Jones of Grimes Port Jones Schwerdtfeger Architects Inc., Waterloo, Iowa (subsequently reorganized as Struxture Architects). 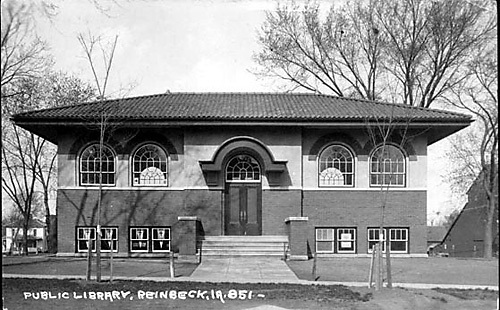 The library now uses the addition’s street address: 501 Clark Street. Added to the National Register of Historic Places, 1983. • Gebhard, David, and Mansheim, Gerald: Buildings of Iowa. Oxford: Oxford University Press, 1993, p. 429.